DO NOT MISS THIS – “When once you have come to a decision, in faith and prayer, go forward, not doubting or looking back.” God has not equipped us with eyes in the back of our heads! Faith in God (FIG) requires that we look and move forward even though we are unable to see what God is doing and what the outcome will be we keep our eyes on the horizon and the prize. 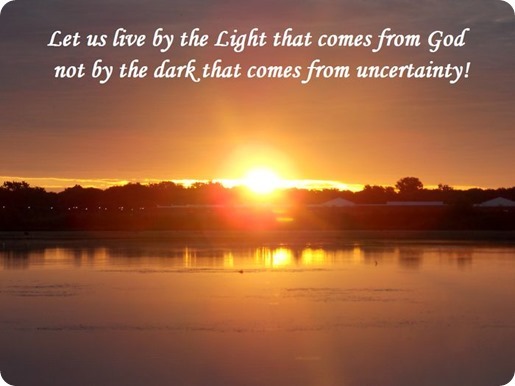 Let us live by the Light that comes from God not by the dark that comes from uncertainty!